Welcome to the new, fully digital edition of the Roosevelt Review magazine. This digital news platform allows us the opportunity to communicate with you more frequently and provide timely news about student and faculty accomplishments, University updates and alumni success stories. In this issue, we are pleased to share with you a recap of our very successful VIVID performance on May 18 that celebrated the 150th and 20th anniversaries of our Music and Theatre Conservatories, respectively, with show-stopping performances by our talented theatre and music students. The Chicago College of Performing Arts also honored alumna Merle Dandridge (BFA, ’98) with the first CCPA Distinguished Artist Award, acknowledging her outstanding contributions to the arts, including her many appearances on Broadway and starring role on Oprah Winfrey Network’s drama series Greenleaf. I am pleased to announce the appointment of Ralph Martire as the Arthur Rubloff Endowed Professor of Public Policy, and of Dr. Meng Yu as the newly appointed Robert Miner Endowed Chair for Computer Science. Martire has a distinguished record of practice, service and advocacy in public policy, particularly through his work directing the Center for Tax and Budget Accountability. 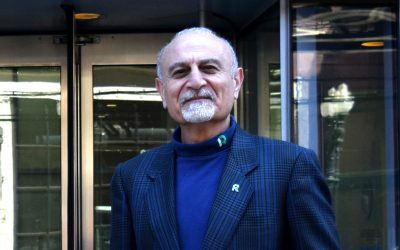 Yu brings expertise in both computer security and network systems research. 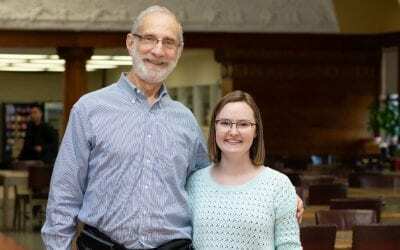 Both the Miner and the Rubloff endowments provide support in perpetuity for faculty leadership positions, allowing the University to recruit and retain national leaders in these fields. Roosevelt is having a banner year in fundraising with more than $13 million raised so far, 30 percent ahead of goal. This marks the third-most significant year in fundraising in the history of the University. Support has ranged from scholarships to programmatic initiatives, capital needs and the annual American Dream Reconsidered Conference. Each of the five colleges, as well as athletics, has received restricted support. For those that are local area residents, there is still time to participate in the Annual Golf Outing, Monday, July 30. Mark your calendars for the third annual American Dream Conference, Sept. 10–13, 2018. I am extremely pleased to announce that former U.S. Attorney General Eric Holder has agreed to speak on Wednesday, September 12 in the Auditorium Theatre. Other featured speakers include New York Magazine writer-at-large Rebecca Traister, Slate political correspondent Jamelle Bouie, Columbia University professor Lawrence D. Brown, and University of Virginia professor Guian McKee. Our program co-chairs, David Faris and Henry Johnson, have been working hard to create another notable event with panel discussions and speakers that will inspire all of us. Additional details about tickets and full program agenda to be announced in the coming weeks. I continue to be inspired by our students’ hard work; commitment to academic success; and contributions to service clubs, student organizations and our local community. I am proud of our student activism on campus and their openness to embracing our mission of social justice and inclusion. Roosevelt is shaped by their thoughts, opinions and dedication to service. In closing, let us not forget our commitment to serve one another and embrace our mission. The core of Roosevelt’s legacy, one that you will carry forward, is that we do not discriminate based on religion, gender, sexual orientation, race, economic status, ethnicity, disability, national origin, or veteran or familial status. It is every American’s right to attain their American Dream through the pursuit of higher education. Please do not hesitate to let me know your thoughts and ideas about Roosevelt University. You may write me at amalekzadeh@roosevelt.edu. As always, I look to hearing from you. 2018 marks 50 years since 1968, a landmark period that transformed the United States and one whose issues the nation still reckons with today, such as civil rights, war, human rights and youth culture. The third annual American Dream Reconsidered Conference was held Sept. 10–14, 2018, headlined by keynote addresses from Eric Holder, the 82nd Attorney General of the United States, and hip-hop artist and actor, Common. 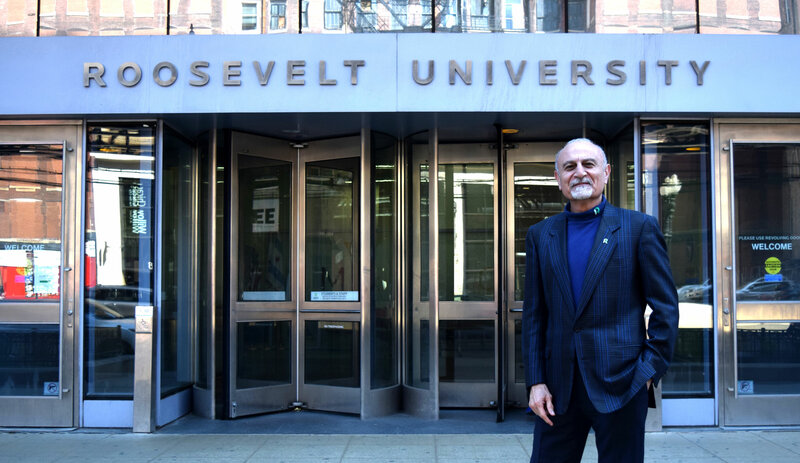 President Ali R. Malekzadeh reflects on Roosevelt University’s recent milestones.